Dinner at Tao’s was a direct result of Guoren’s lucky streak. You know those lame SMS competitions where the answer is so ridiculously obvious? Guoren took part in one, sent out 1 sms that cost him 20 cents and bazinga, 2 free Vip tickets to the 1st day of Singfest 2010 with performances from Wondergirls, Orianthi, Tokyo Hotel, Katy Perry and The Light. Ok VIP tickets are such an overstatement, the only difference was that we had 3 free Tiger Beer coupons each and sheltered seatings that were was so bloody far that we ended up jostling our way through the horde of sweaty & smelly “normal” Singfest ticketholders to get a better view of the performances. So much for thinking that VIP meant an exclusive seating location directly in front of the stage, with access to a buffet and waitresses moving up and down asking if you would like any complimentary cocktails, and maybe a throw in of a backstage pass as well? Anyways, I felt quite bad just taking the “VIP” ticket for free (the “normal” tickets already costs $175 for a day pass!) so I treated Guoren to dinner at Tao’s before walking over to Fort Canning for Singfest. Still, I feel like I’m somewhat shortchanging him. 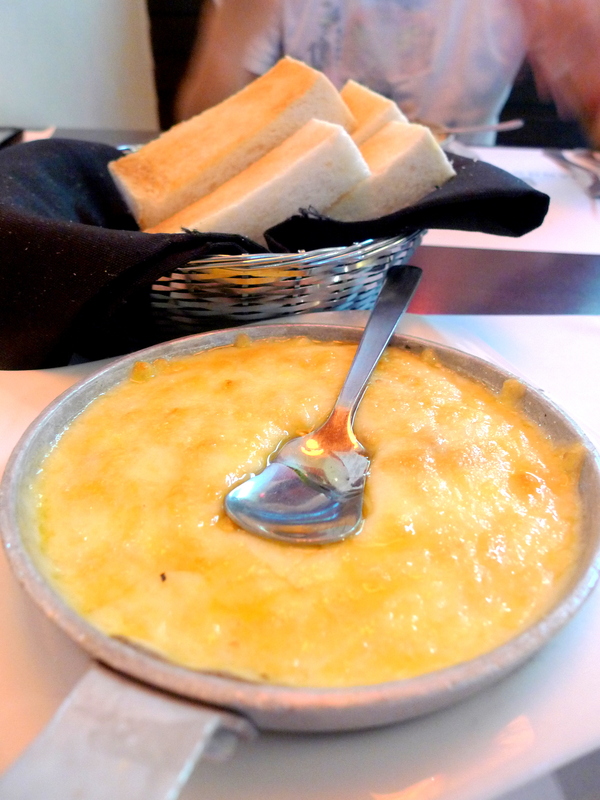 Having had memorable meals at sister restaurants Dozo for it’s Japanese Fusion & Ju Ju Hokkaido Hot Pot for its awesome hot pot, I finally visited Tao’s Restaurant, the third and final sibling of this dining group. 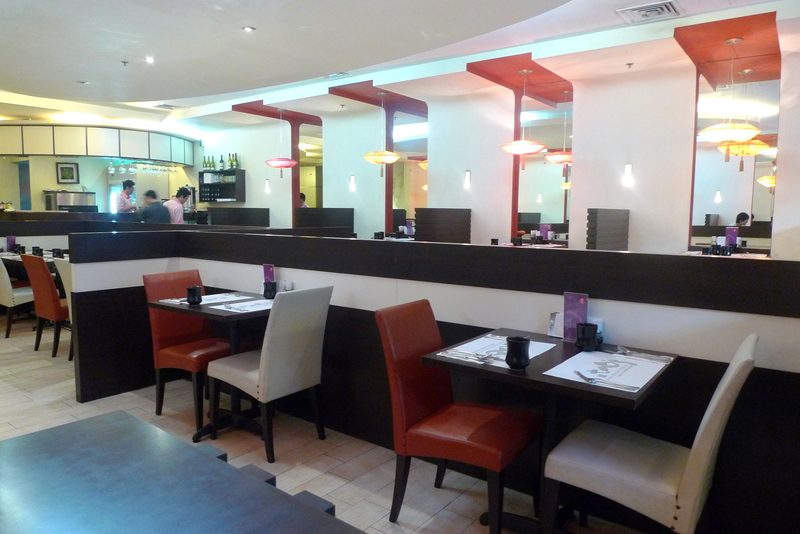 The dining style here is simple. 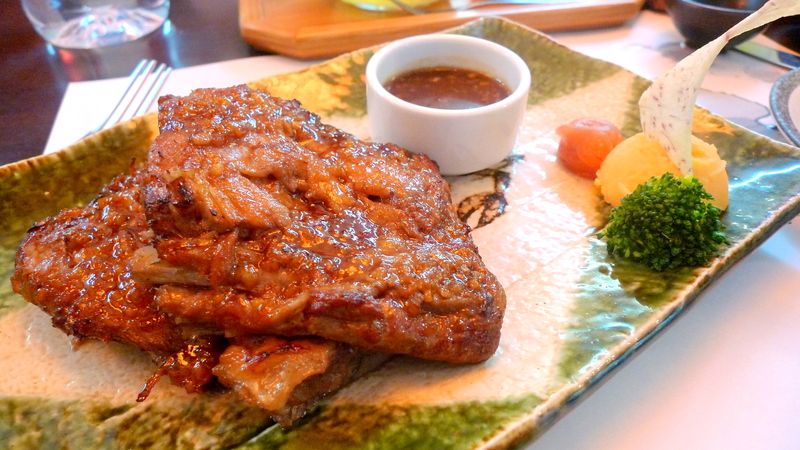 6-Course Set Lunch is priced at $19.80++ while 7-Course Set Dinner is priced at $29.80++. 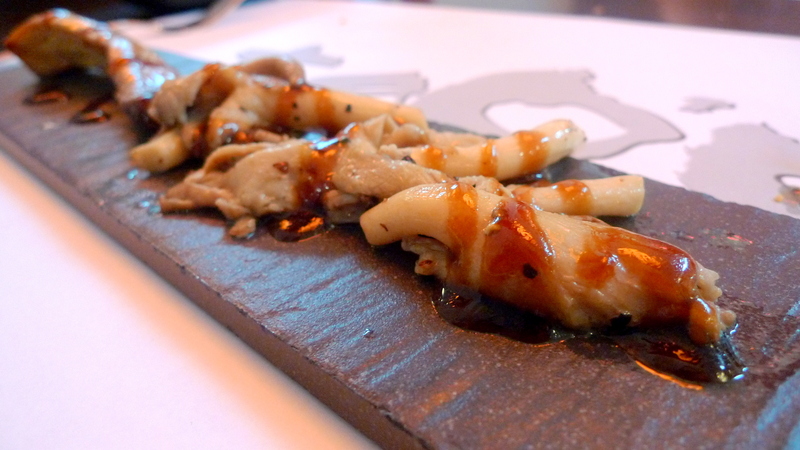 Unlike semi fine-dining sister restaurant Dozo, Tao’s portrays itself as a casual dining restaurant with a touch of class. Nothing too posh or over the top, just comfortable surroundings with good food and service, though I did question the sexual orientation of our waiter but at least he was friendly right? I’m no homophobe anyway. The 7-Course Dinner between my friend Guoren and me kicked off with a cheesy Bacon & Mushroom Gratin. Served with 2 thick slices of Toast, it’s looked and tasted like heaps of Baked Mozzarella over a Creamy Mushroom Soup. It’s hearty and we both liked it but it did seem a bit filling for a starter. The Topshell Salad with Jap Noodles was served chilled with chopped nuts and an oriental dressing that tasted very Thai and refreshing. The Pork Floss with Prawn Roll was a much better choice of Salad in my opinion. 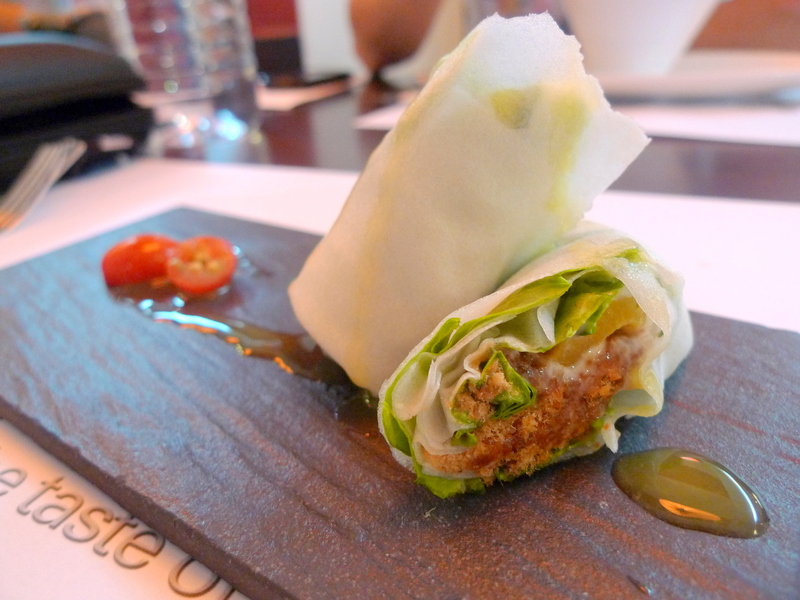 It was very much like a Pork Floss Crepe or Popiah which agreed with my palate. The Mango Sauce that was drizzled over it complemented it well too, resulting in a good mix of sweet and savoury! 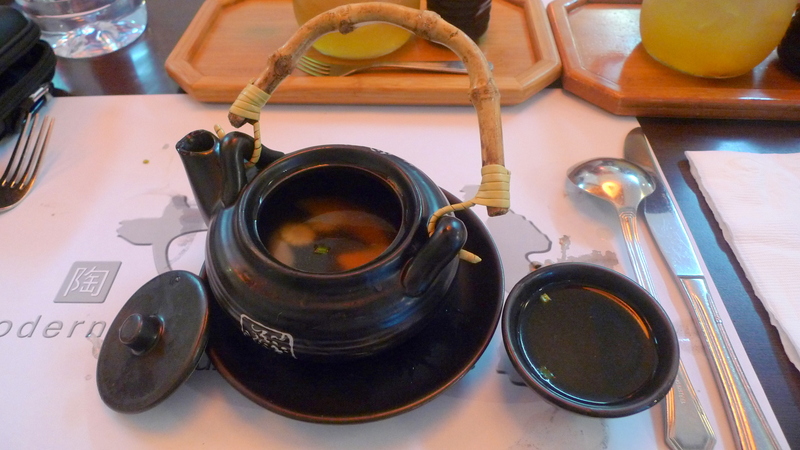 The Fish Consomme came in a cute looking pot. Crystal clear and void of any impurities, the consomme was flavourful and rich yet light at the same time. Again, portion was too much for 1 person to stomach. Why do I sound like I’m ranting? Bigger portions are a good thing right? I think it’s just because I hate wasting food, tasty ones at that. 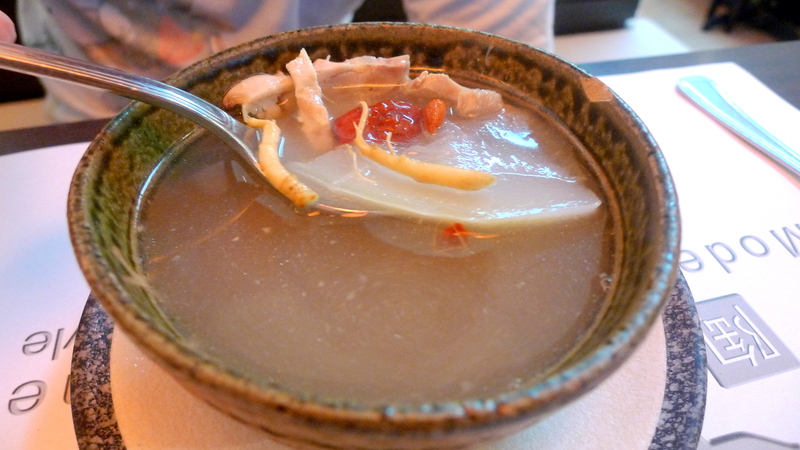 GR fancied a more traditional Chinese Soup and hence chose the Sharkfin Melon Herbal Soup. There wasn’t a whole lot of sharkfin, I actually didn’t spot any at all but it had a nice mild herbal undertone of Ginseng, Red Dates & Wolfberries. I don’t see why anyone would want to pay $15 bucks for a Cafe Cartel St Louis Pork Ribs or a $20-$30 Rack over at Tony Roma’s when you can get one that is of better quality and value right here! Slowed cooked to a near tender perfection, my only gripe was that the side of pumpkin mash wasn’t very smooth. 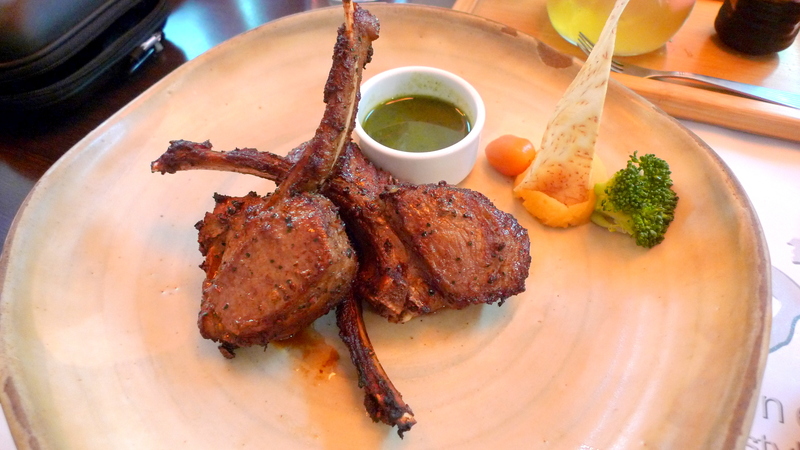 The Marinated Rack of Lamb was succulent and tasty on it’s own even without the side of was it Mint sauce? I did have a stronger preference for the ribs though. The desserts at Tao’s are good but not mind-blowing. 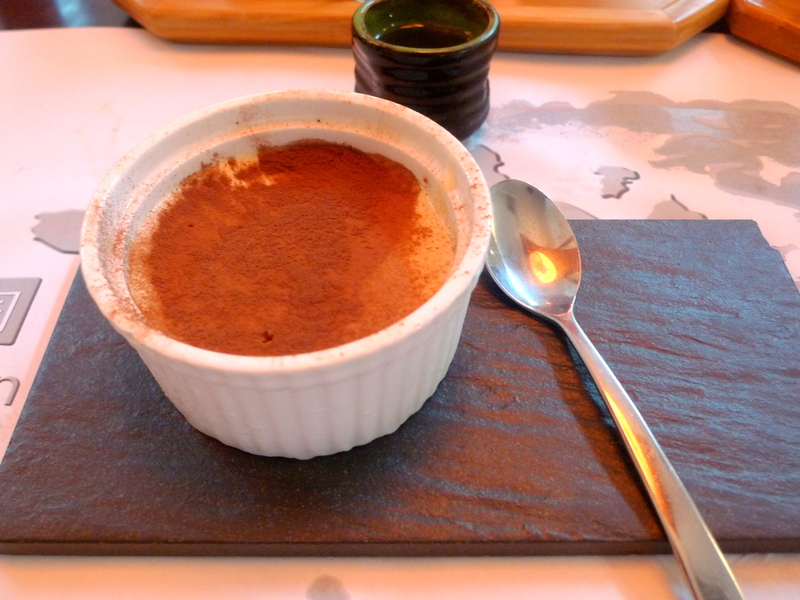 Especially staple desserts like Tiramisu whereby after you have eaten so many, they all start tasting more or less the same and only the really poor or really awesome ones stand out. What I liked about Tao’s Tiramisu though was that the Mascarpone’s smooth consistency, denseness and sweetness suited my tastebuds. 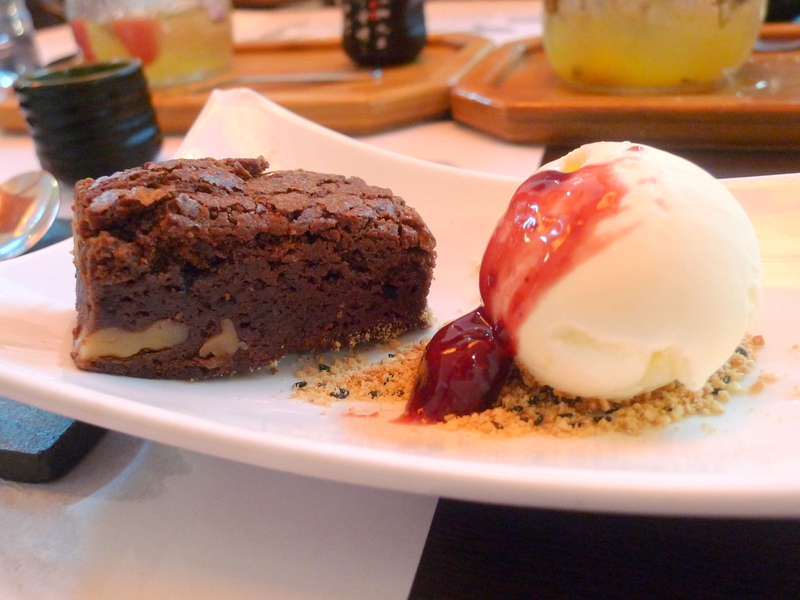 The Brownie with Ice Cream on the other hand was just unsophisticated sweet comfort food! I really love the signature fruit teas from Dozo and Tao’s. 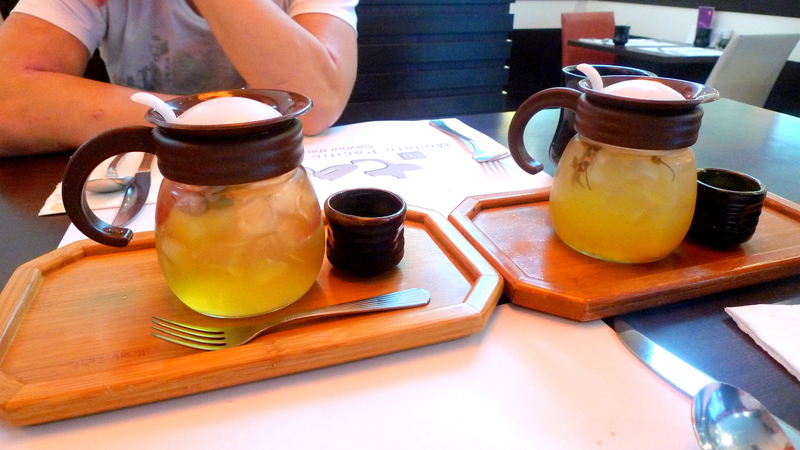 We had the Ice Rose Apple Tea and Ice Summer Peach Tea and we both favoured the former. Its really refreshing and the Rose flavour was clearly evident even after all the ice melted. Guoren couldn’t stop raving about it. We enjoyed our dinner at Tao’s tremendously. The food is not as sophisticated nor as intricate as Dozo’s but still tastes as good. 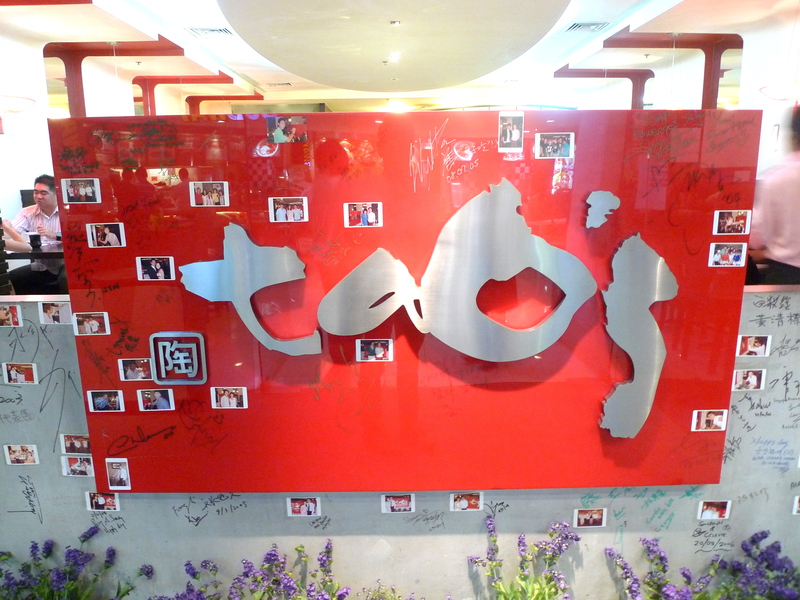 Tao’s owner Mr Huang has indeed succeeded in his endeavor in making quality food that is value for money accessible to the masses. 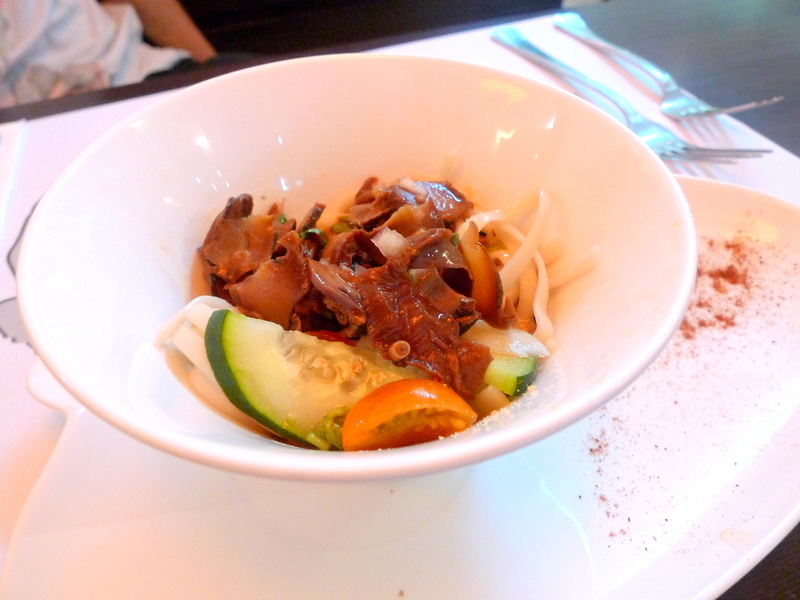 Categories : All YumYums in my TumTum, Cuisine Type YumYums, Dhoby Ghaut, Fusion, Location of YumYum, Yummy! My goodness that all looks so delicious. I think I’m hungry now. yeah it’s really value for money. Each course is like $5 if you think about it and the fruit tea is really to die for. The reason why there’s no shark’s fin is because the melon meat looks like shark’s fin… hence the name of the soup “sharkfin melon soup”. my mum’s name is delia too! woah surprised me for a moment there, thought she was stalking my blog haha.